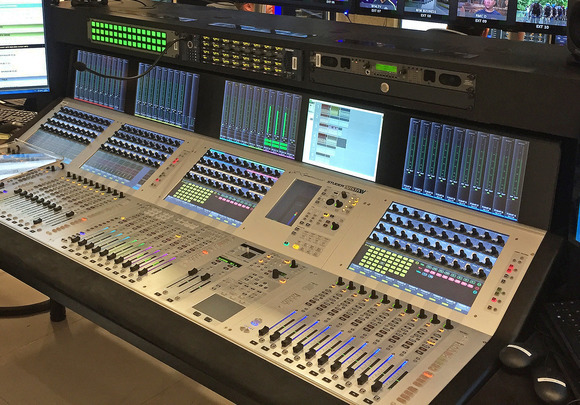 SOFIA, Bulgaria - Bulgaria’s leading TV station Nova TV, part of the Swedish group MTG, has transformed its audio capabilities in live news and sports applications, thanks to two Studer OnAir 3000 consoles. 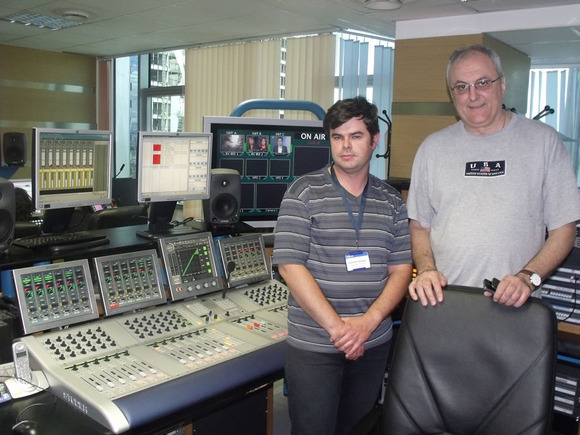 According to Vesselin Todorov, president of Bulgarian music company Factor TC, Bulgarian television has always been notorious for its poor sound quality, but the installation of two Studer OnAir 3000 broadcast consoles into Nova TV has broken that conception; it is now the best-equipped TV station in Bulgaria. Both consoles are configured identically: one PGM stereo output; four hybrid channels for phone hybrids (bidirectional); separate channels for the audio server (4 AES inputs and 4 AES outputs); a mic group (8 mics); a server group (4x2 AES channels); external sources (5x2 AES channels) and a VTR group (3x2 AES channels). Each console also has an output VTR group (3x2 AES channels), an embedder group (8x2 AES channels), an external outputs group (2x2 AES channels) and 16 analog output channels; hybrid channels and mic channels are also analogue. The mic group is hard wired to eight wireless mic receivers and there is an additional group for analoge mics (12 inputs). Four AUX buses and four additional N-X busses are assigned to the hybrids. The main frame of the mixer is a Studer Compact SCore with one D21m extension frame; 24 symmetrical digital AES inputs and 24 outputs are in the core and the extension frame comprises of 12 mic inputs, 24 line inputs and 24 outputs, which are all analogue. 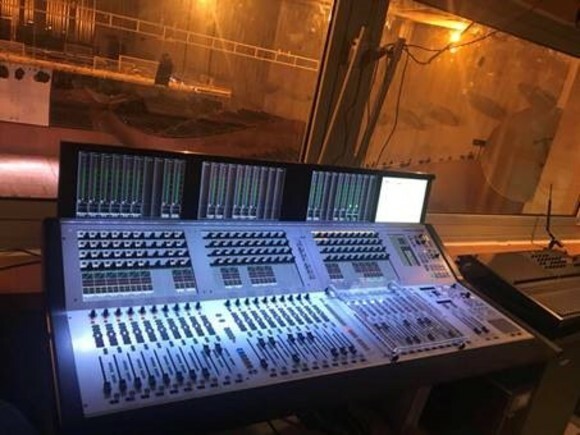 They also have two sixteen channel ADAT boards installed and the console is fed with AES Sync and a separate time code signal for internal clock synchronisation; all inputs and outputs are passed through patch-pannels. There is an OnAir 3000 in both the live newsroom and the sports centre at Nova. Next May, the station will launch brand new sports channel (Nova Sport) broadcast directly from the Nova TV sports centre. Nova TV has two local networks for its OnAir 3000 consoles, which are separate from each other and all other network domains. Vladimir Lazarov of Nova TV, said he’s been delighted with the scalability and flexibility of the system.